Home Depot what were you thinking? Or were you thinking at all! The home improvement retailer tweeted this photo ( which it later called “stupid” + “offensive”) on Nov 7, 2013. It was related to College Game Day which the company sponsors. The image was posted at a time when half of Britain was hit with snow. It was intended to show how efficient the London Luton Airport was at clearing runways. The person who posted it was expecting the airport’s Facebook wall to be flooded with compliments, but it didn’t happen. Instead the users retorted with angry responses – “I am pretty appalled that this is your official page and that this is the image and wording that you use. Another Facebook user, added: “Poor form really, as a child died in this incident. The picture was taken down within 90 minutes and the airport came up with an apology stating “London Luton Airport apologises unreservedly for the post on Facebook, which was wholly unacceptable and insensitive. “We have social media guidelines that clearly outline what is acceptable. “However in this instance a new, over-enthusiastic member of our support team made an honest but misguided mistake and clearly stepped over the line. The bank had asked its followers to send questions to an executive using the hashtag #AskJPM. The original idea behind the tweet-up was to give students the opportunity to communicate directly with Jimmy Lee, one of JP Morgan's most senior bankers and a key executive on the Twitter share sale. The live Q&A was due to take place on November 14th, but by the previous afternoon, #AskJPM backfired against the bank. More than 8,000 responses were sent within a six-hour period, according to social media tracking service Topsy. And two out of every three comments sent were negative. The bank after seeing the negative response tweeted: "Tomorrow's Q&A is cancelled. Bad Idea. Back to the drawing board." The bank has been in the spotlight this year over its $13bn settlement for mis-selling mortgage-backed securities and the $6bn London Whale trading losses. Abusive tweets included: "Quick! You're in a room with no key, a chair, two paper clips, and a lightbulb. How do you defraud investors? ", "What's your favourite type of whale? #AskJPM”, and many more! 4) Tesco "off to hit the hay"
The UK's leading supermarket failed to update its auto-tweets when it was embroiled in the horse meat scandal earlier this year. The pre-scheduled tweet read: "It's sleepy time so we're off to hit the hay. See you at 8am for more #TescoTweets." The tweet implied - the workers were tired and after finishing work would be setting “off to hit the hay”. Earlier this year it emerged that Tesco was selling beef burgers contaminated with horse meat. Thousands of users complained about the ill-judged tweet and @UKTesco later responded: "I'm terribly sorry. That tweet was scheduled before we knew of the current situation. We'd never intend to make light of it." The following day, Tesco placed full-page adverts in several national newspapers to apologise for the "unacceptable" situation, vowing to ensure it "never happens again". Cooking site Epicurious thought they could help people chill out about the Boston Marathon bombing by promoting some recipes on Twitter. 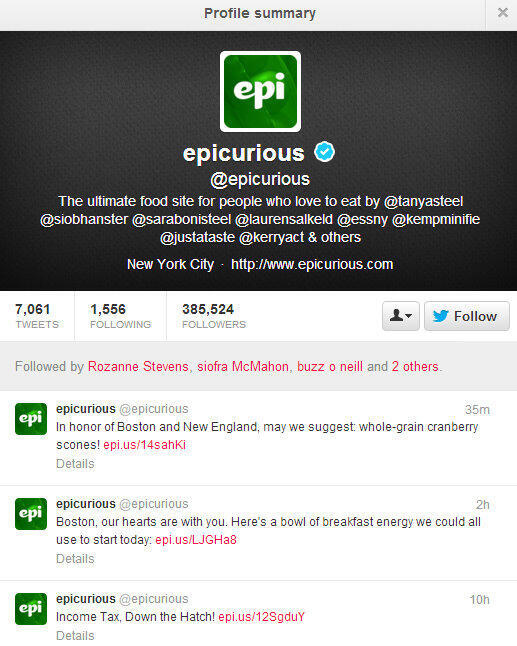 Though there have been brands who made inappropriate marketing jokes on Twitter before, but Epicurious raised the bar. 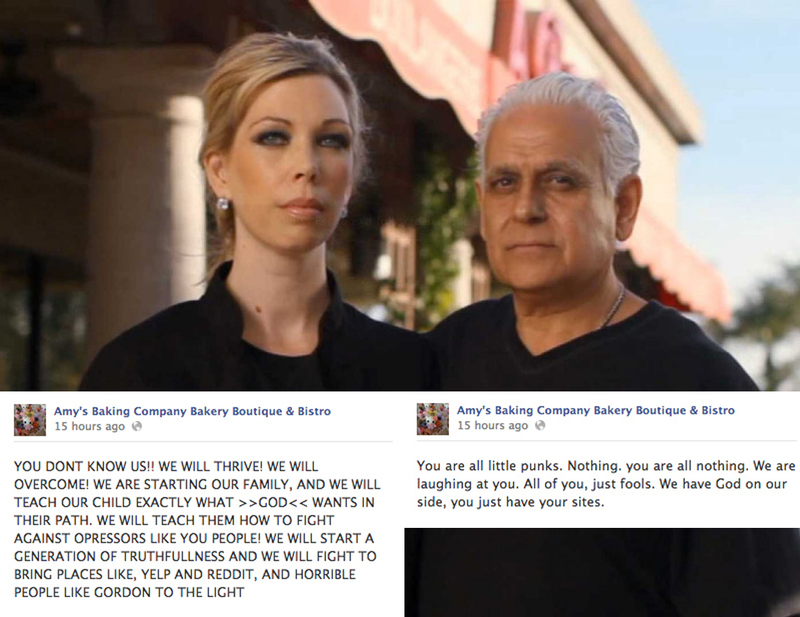 The owners of the restaurant which is located in Scotsdale took to Facebook in one of the most psychotic and bizarre public rants. They tried defending their restaurant against unruly commenters with expletives, all-caps, and inciting God.